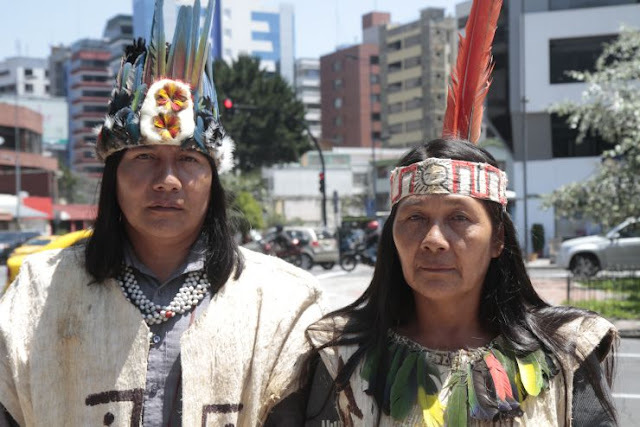 Wearing a traditional headdress and a white vest woven from the bark of an Amazonian tree, Manari Ushigua held a megaphone to his mouth to denounce Ecuador’s latest oil deal: A multi-million dollar contract that will allow oil drilling on his tribe’s territory for the first time in four decades. 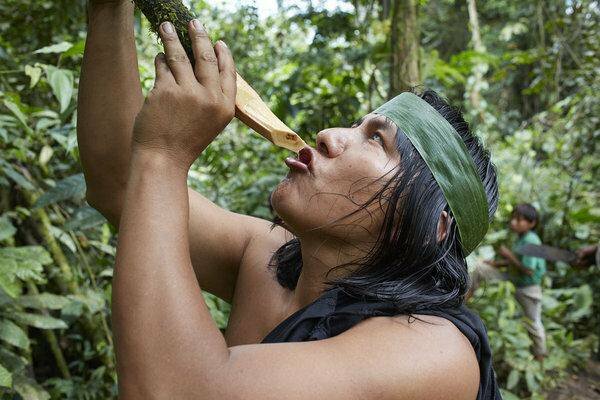 For several years Ecuador has been trying to increase oil production by inviting foreign companies to drill in the Sur Oriente, a largely untouched area of the Amazon rainforest that’s about the size of Massachusetts and considered one of the most biodiverse places on earth. 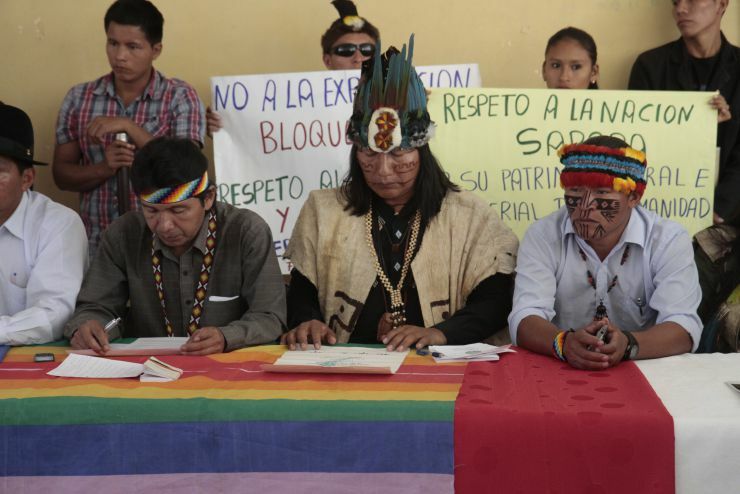 On Jan. 25, the government signed one of the first concessions in this remote area: A four year deal that allows Chinese consortium Andes Petroleum to operate on two parcels of the jungle covering 45% of the Zapara’s ancestral lands. The tribe, whose population numbers between 350 and 500, has vowed to take the case to international court because they fear that drilling will pollute the jungle and erode what’s left of their traditional way of life. They are the latest group threatened by Ecuador’s expanding oil frontier. 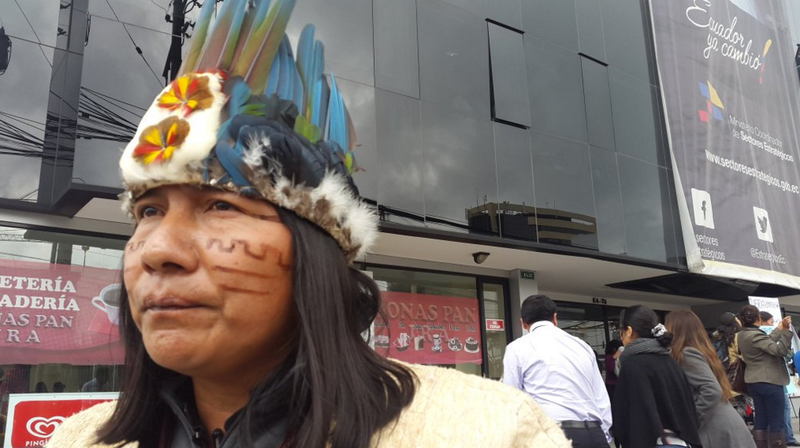 “If they put an oil well in our land, it would be like they are destroying our laboratory, our knowledge,” Ushigua, the president of the Zapara Nation, told me after his protest in Quito. “We want development but we want to have it our own way,” adds his sister, Gloria, as she prepared for a conference call with U.S. organizations that are helping the tribe to get more international visibility. Ushigua says his tribe is already considering taking their case before the Inter American Court of Human Rights, an international tribunal that could order Ecuador to stop drilling on the Zapara’s lands. When the Zapara sleep, Ushigua explained, their spirits leave their bodies and travel the forest to look for answers to their problems. Responses to "Small tribe with a big voice vows to stop Chinese oil drilling in the Amazon"
Thank you for being so right and courageous. Your commitment strengthens me. I wouldn love to learn their ancestral knowledge and pass it on. It would be an honor. How can we help? How about a petition on avaaz? They have a huge network People all over the world could sign! The World must support you and your cause to save your jungle and your way of life. Greed must not win over life. Let us know how to help. Is there a petition to sign? I will help to spread this news and I know many others will too.